From the moment Trinity arrived in this world, she could effortlessly melt anyone’s heart. 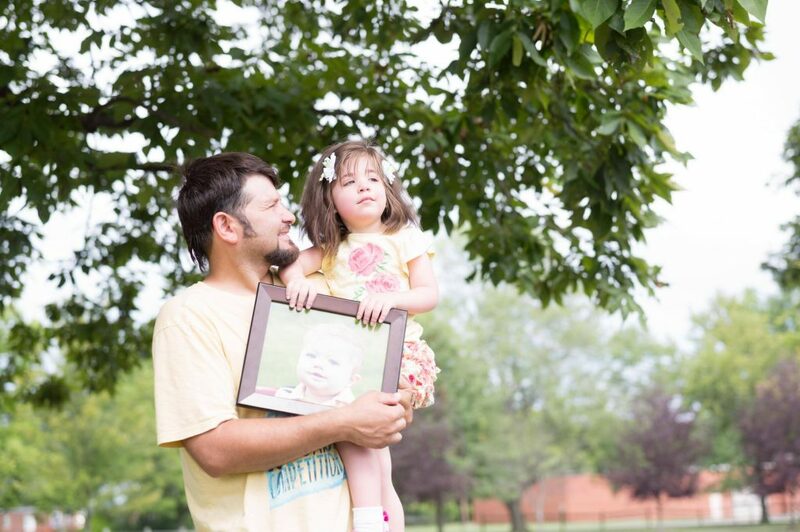 Born with a fighter spirit, Trinity has overcome many obstacles. The week of her third birthday would be Trinity’s last weekend at our home in North Carolina. What started as a great week with a healthy child suddenly turned near-fatal as we learned Trinity had developed Dilated Cardiomyopathy. Our world stopped. We were rushed to Cincinnati Children’s Medical Center, for hope of another chance. In true Trinity fashion, she overcame three strokes, paralysis, loss of speech, severe memory loss, and being placed on the Berlin Heart. To look at her today, one could never imagine where we were just one year ago. With the brave decision of our donor’s parents, baby Logan’s gift of life gave Trinity a heart transplant on Valentine’s Day of 2013. After extensive therapy, Trinity took her victory steps to finally walk out of the hospital on Easter weekend on Good Friday of 2013. With her strong and beautiful new gift, Trinity is now a vibrant, healthy 4-year-old girl who can run and play and keeping up with her little brother. We cherish every day we now have with baby Logan’s gift. His brave little heart is a Valentine we will forever cherish, and one precious little boy we will never forget! We were fortunate to meet our donor family this summer. To be able to say thank you in person, words simply cannot describe. Every day we now have with our little girl, is truly a blessing because of them.